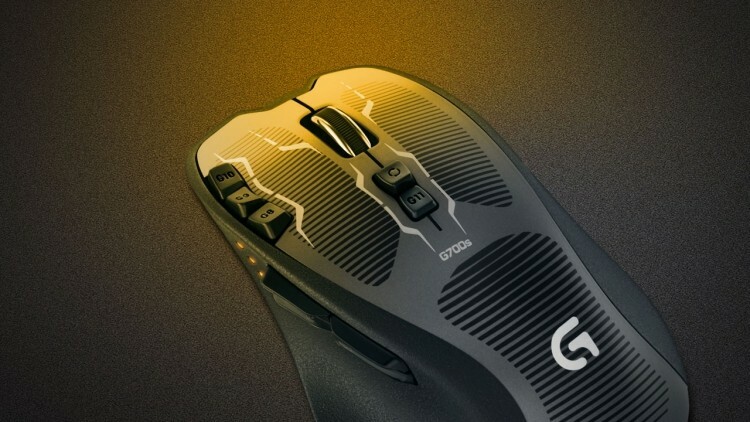 Topping today's deals is the new Logitech G700s rechargeable gaming mouse for the lowest price around. Don't miss the chance to snag the 24" monitor marked down to $199.99 with a bonus $100 gift card and backed by 3-year warranty. We also found a hefty discount on the new Wireless-AC bridge from Linksys, letting you make any Ethernet device wireless with $50 savings. Scroll down to snag this and the rest of today's hottest deals. 86 Logitech G700s Rechargeable Wireless Gaming Mouse for $74.99 with free shipping (normally $99.99). 24" Dell E2414H 1080p LED-backlit LCD Monitor + Free $100 Gift Card for $199.99 with free shipping (normally $329.99). 81 Linksys WUMC710 Wireless-AC Ethernet Bridge with 4-Port Gigabit Switch for $99.99 with free shipping (normally $149.99). 90 120GB Samsung 840 EVO 2.5" SATA III Internal Solid State Drive for $99.99 with free shipping (normally $119.99). 3M MP225a Mobile Projector with Spare Battery for $148.60 with free shipping (normally $299.00). 70 Lenovo ThinkPad Twist 12.5" Core i3 Multi-touch Ultrabook for $599.98 with free shipping (normally $849). 27" Dell P2714H 1080p IPS Anti-glare LED-backlit LCD Monitor for $309.99 with free shipping (normally $399.99 - use coupon code 5QN?BJC9RDTW3K ). 70 Up to 15% off HP ENVY TouchSmart 15t-j000 Quad Edition Core i7 "Haswell" Touchscreen Laptop - range starting at $809.99 with $9.99 shipping (use respective coupon code). 80 70" VIZIO E701i-A3 1080p 120Hz LED HDTV + $200 Dell eGift Card for $1,598 with free shipping (normally $1,598 without gift card). Dell Inspiron 660s Dual-core Slim Tower Desktop w/4GB RAM, 500GB Hard Drive, USB 3.0, Wireless-N & Windows 8 for $329.99 with free shipping (normally $399.99 - use coupon code FNCN07DHRBKP0L ). Dell Precision T3600 Quad-core Xeon E5 Fixed Workstation w/ Quadro 600 Graphics for $949 with free shipping (normally $1,199). Free 1-year Super Street Magazine Digital Subscription.